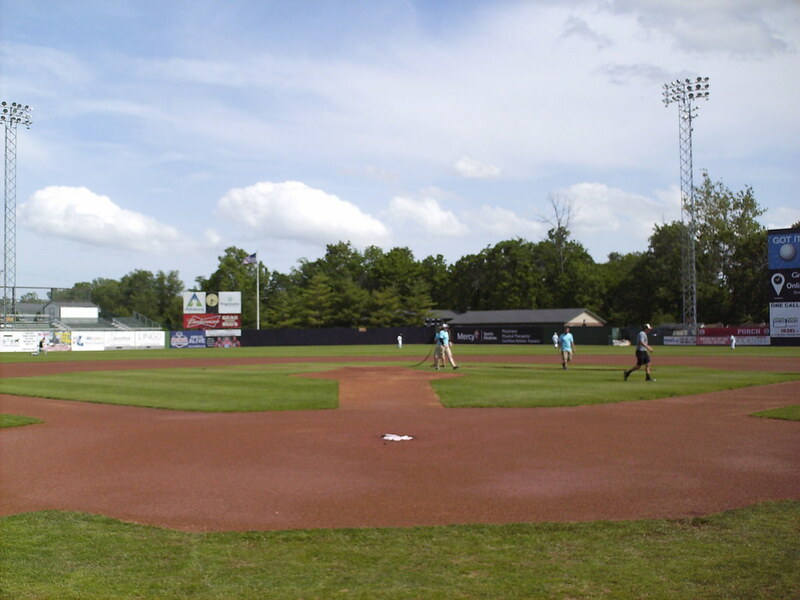 The view from behind home plate at CarShield Field. 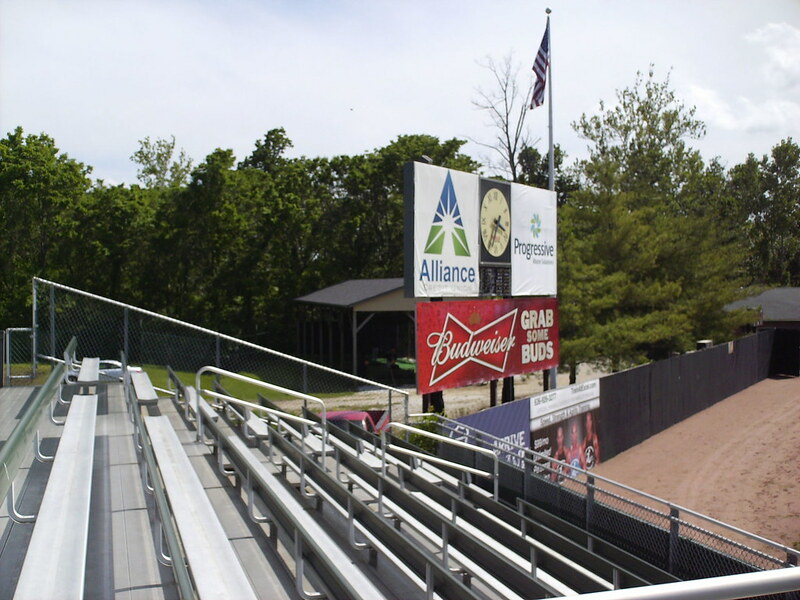 The grandstand at CarShield Field, as seen from center field. 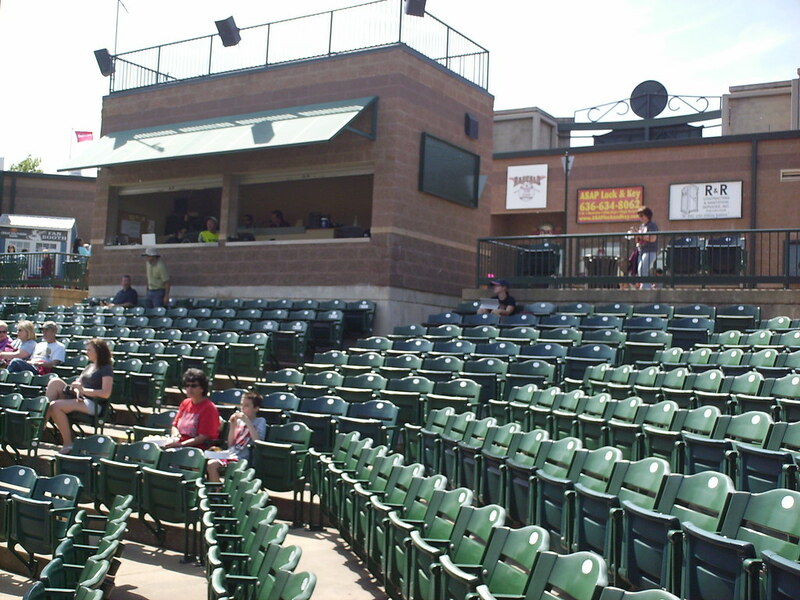 The pressbox is a small brick building that sits atop the main seating bowl. 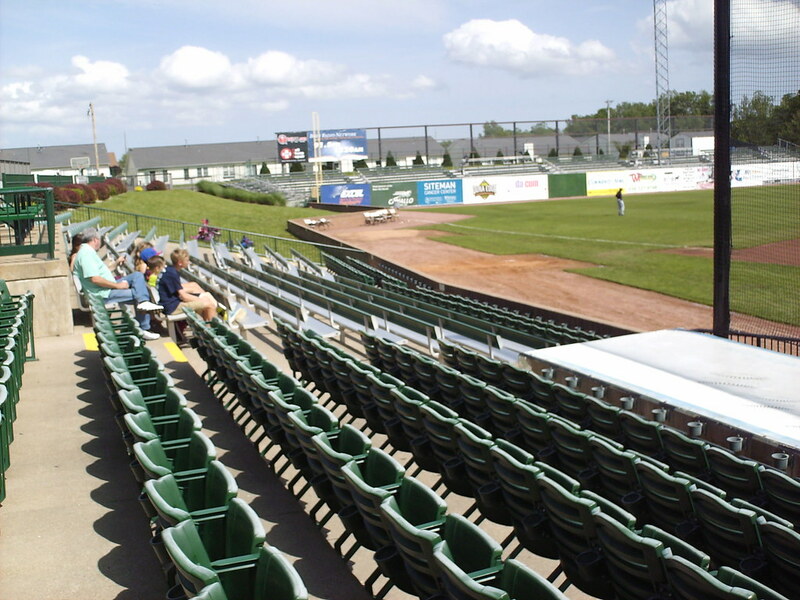 Bleacher seating and a grass berm down the third base line. 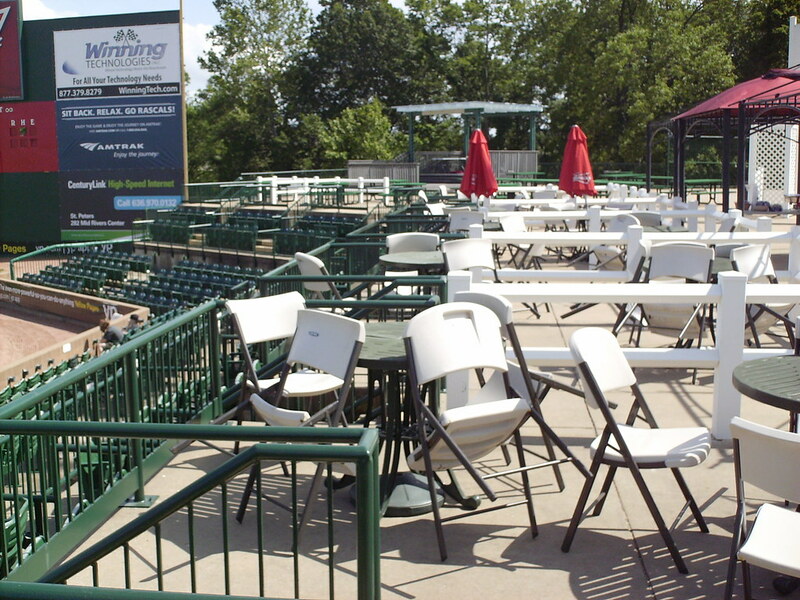 Picnic table seating along the concourse at the top of the grandstand. 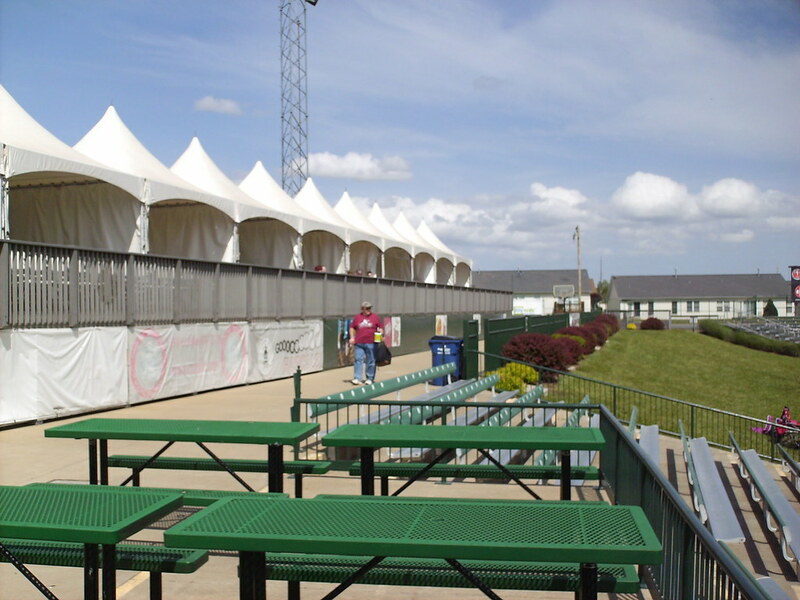 "Luxury boxes" along the third base line are housed in tents overlooking the concourse and the playing field. 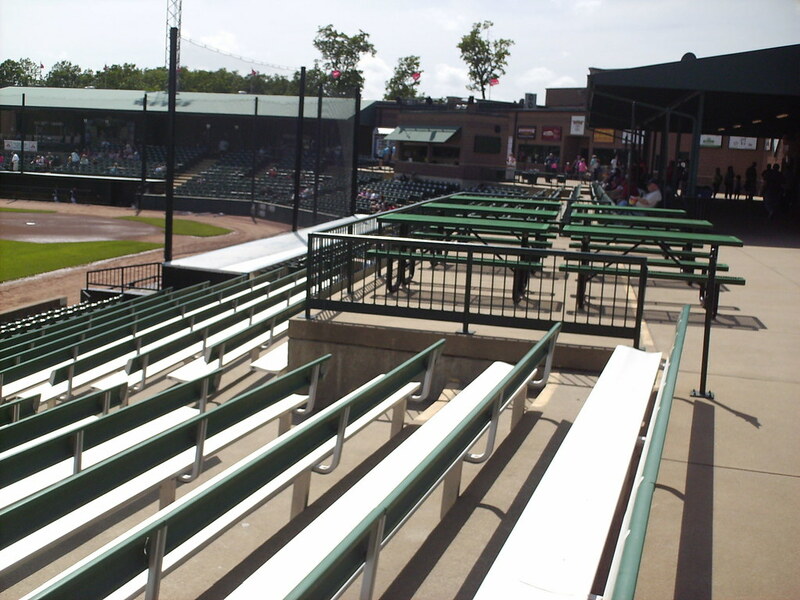 Group table seating along the concourse in the right field corner. 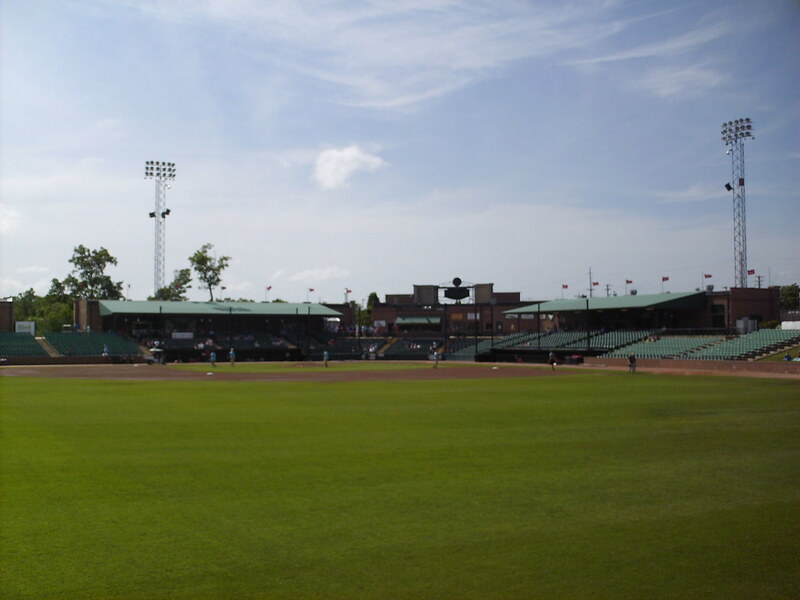 The main seating bowl wraps back toward the plate as it reaches the foul pole. 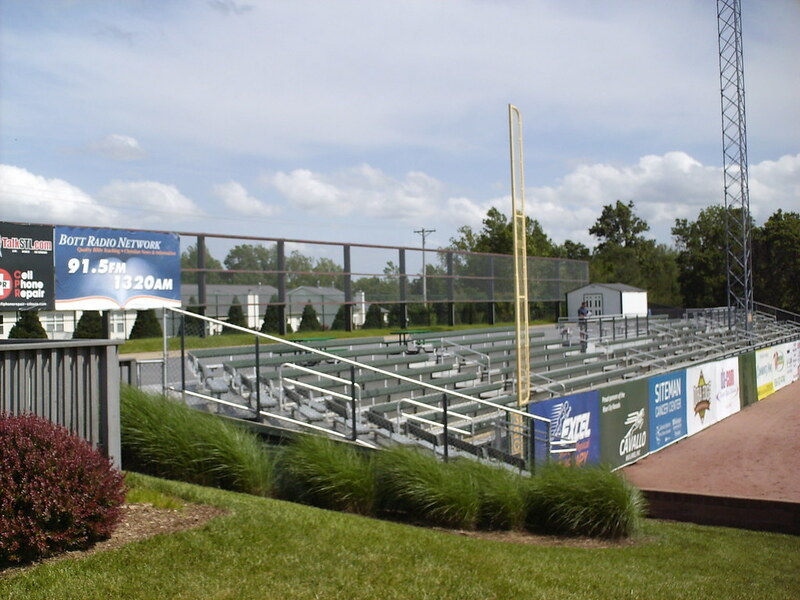 The outfield bleachers at CarShield Field. 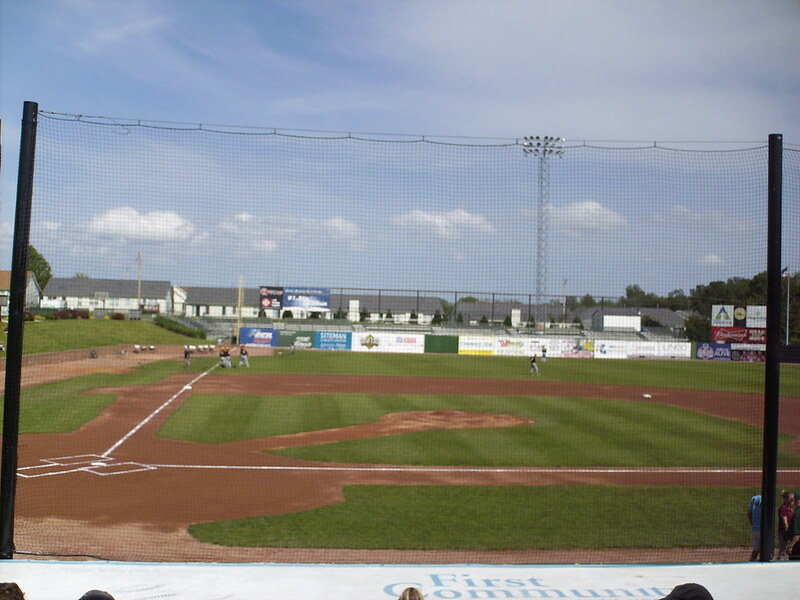 Residential housing sits just beyond the fence. 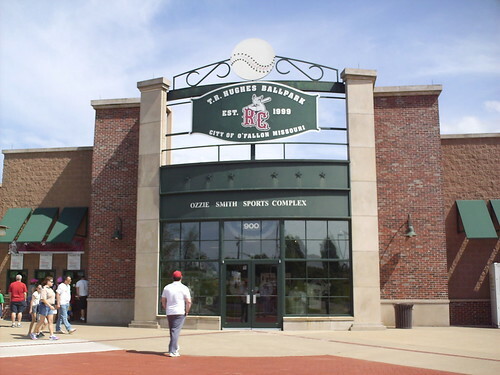 The St. Charles County Amateur Sports Hall of Fame is located along the concourse in right field. 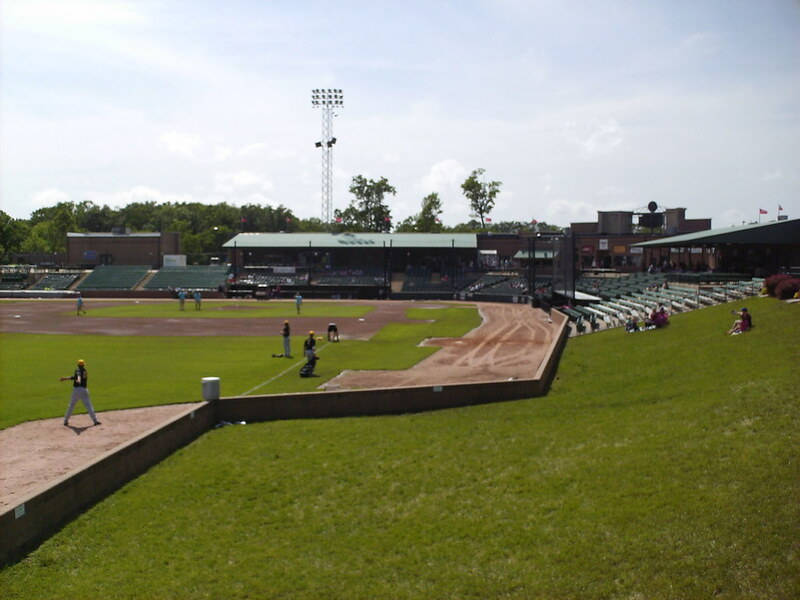 The park features a large amount of foul territory in the infield, but the berm presses right up to the foul line in left field. 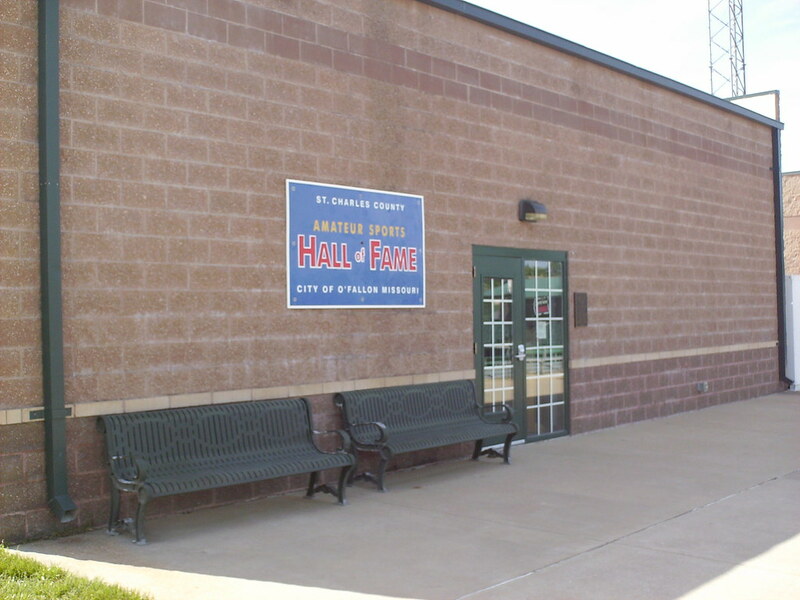 Batting cages sit behind the clock and the center field wall. 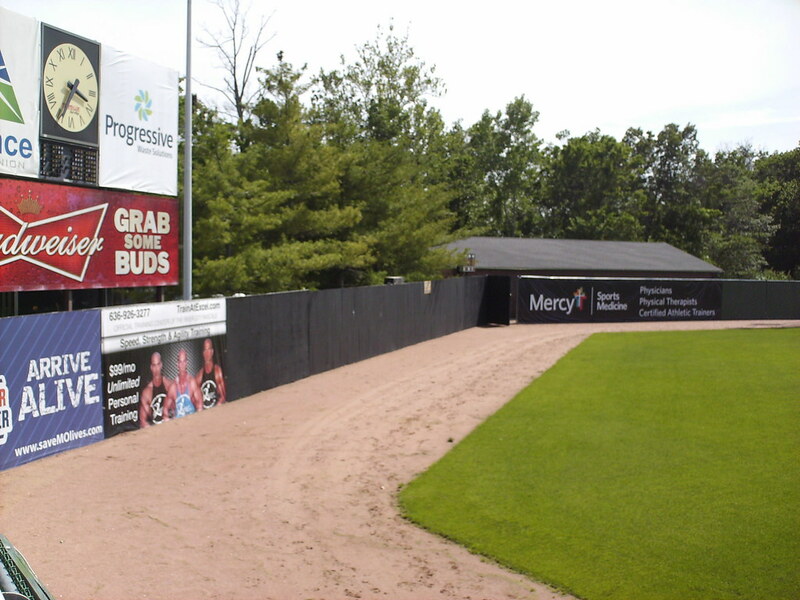 The outfield wall makes a sharp corner on either side of the batter's eye, which is a grove of trees behind the wooden fence. 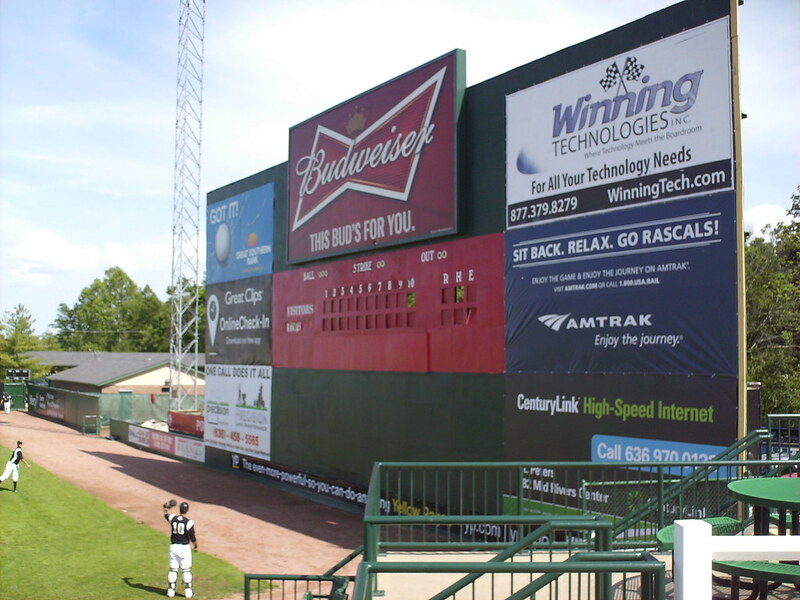 The right field wall towers over the field of play and features a manual scoreboard. 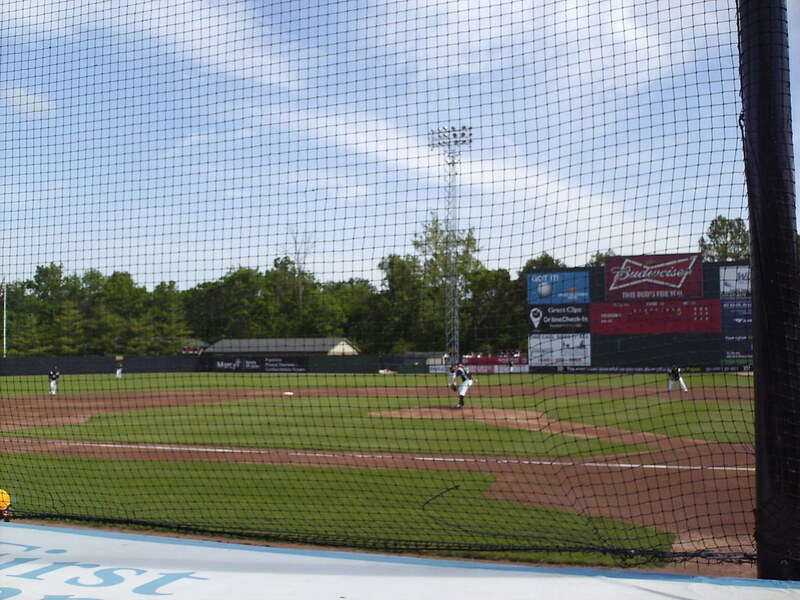 The fence immediately drops to a smaller than average height as it moves toward center field. 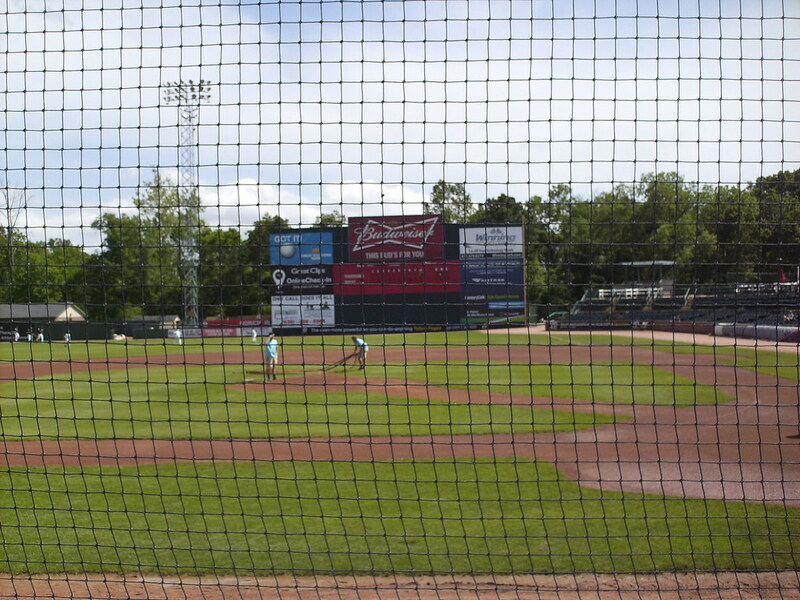 The River City Rascals on the field during a game at CarShield Field.